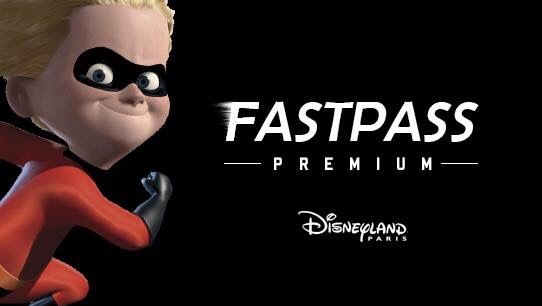 Chargeable FASTPASS to be launched at Disneyland Paris. 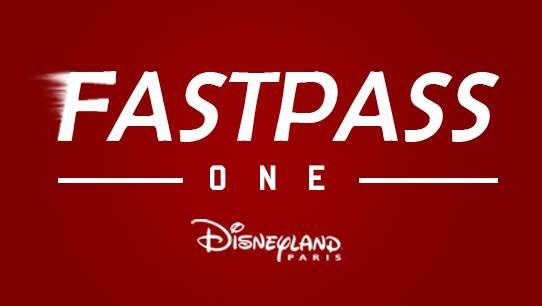 Androland are reporting that Disneyland Paris will be launching two new chargeable FASTPASS tickets, FASTPASS PREMIUM and FASTPASS ONE on 10 May 2017. Standard FASTPASS tickets will remain free of charge and will be available from the rides equipped with FASTPASS ticket machines. Disneyland Paris experimented with chargeable VIP FASTPASS tickets a few years ago. They cost around €60.00 but were withdrawn from sale due to poor sales and after stolen tickets started to appear on eBay. Does not constitute a ticket to the Parks. Can not be resold or resumed. Points of sale : The shop closest to the desired FASTPASS® attraction (list below). Author Salon MickeyPosted on April 30, 2017 April 30, 2017 Categories Disneyland Paris1 Comment on Chargeable FASTPASS to be launched at Disneyland Paris. Still no official press release from Euro Disney S.C.A. or the L’Autorité des Marchés Financiers (AMF) regarding the opening of the Cash Tender Offer. But in documents published on the AMF website this week it appears that the Offer has launched, as the EDL Holding Company LLC has been busy buying Euro Disney shares on the Euronext Paris at €2.00 a share. So far this week The Walt Disney Company has purchased 498,677 shares in Euro Disney S.C.A. via their subsidiary the EDL Holding Company LLC. This takes TWDC’s ownership of Disneyland Paris to around 86.03% with a total of 673,945,923 shares in Euro Disney S.C.A. It is now expected that L’Autorité des Marchés Financiers and Euro Disney S.C.A. will make an announcement on Tuesday 2 May 2017. Many thanks to @MrSliverMatch on twitter for bringing this to our attention. Disneyland Paris will be hosting the very first edition of an electronic music concert featuring the Electroland concept, on 8 July 2017 which will allow 10,000 fans to experience an immersive experience with world-famous DJs, in a festive and friendly atmosphere, and cherry on the cake, will be access to the park’s attractions. The DJ and American superstar producer Steve Aoki and the Australian duo NERVO are the headlining acts of this concert event. They will be joined by French DJ Michael Calfan and Richard Orlinski . Taking possession of the park for an exclusive evening between 7:00 pm to 12:00 am, Electroland will transform The Walt Disney Studios Park in Disneyland® Paris into a temple of electronic dance music. This very first edition of Electroland promises to be magical. Spectators will not only be able to attend an exceptional outdoor show, but also access the attractions of the park at night! With a giant LED screen, projections at one of the park’s top attractions – The Twilight Zone Tower of Terror ™ , the presence of exceptional guests and several memorable surprises – all in the magical and enchanting setting of the Disney world , Electroland will offer a breathtaking show. Steve Aoki , the superstar of the electronic dance-music nominated at the Grammy Awards, is famous for the enthusiasm he unleashes at each of his concerts. As a solo artist, he is the author of the studio album “Neon Future I”, which has long remained at the top of dance / electronic album sales and contains the single “Delirious (Boneless)”, With Chris Lake and Tujamo featuring Kid Ink. But the film “I’ll Sleep When I’m Dead” reveals a lesser-known facet of the artist: that of an autodidact, both entrepreneur and artist, who owes his success only to himself. As the founder of the visionary label Dim Mak and producer, remixer and DJ among the most influential on the current scene, Aoki is an emblematic figure of the most trendy urban culture. NERVO is a duo composed of two Australian DJ sisters and songwriters, who have become famous after writing and producing hits for such renowned artists as Kylie Minogue, Ke $ ha, Pussycat Dolls, Afrojack, Steve Aoki and Miley Cyrus. To name just a few). With more than 200 concerts a year under their belt, not to mention the premiere performances at the world’s biggest festivals, shows at the most famous clubs, from the Omnia of Las Vegas to the Ushuaia of Ibiza , NERVO is one of the most popular electronic music bands of the moment. Michael Calfan is a French artist who brings a new lease of life to the electronic music scene. He says he wants to have fun and not take life too seriously, but his music is full of sensitivity, depth and emotion: “I find inspiration in all forms of art, everything that Emotion. I may be an idealist, but I want to give people sensations, create memories and nostalgia”. A task to which he excels in tubes like Treasured Soul, Nobody Does It Better and Thorns. Caracoling at the top of the charts, these titles have accumulated tens of millions of views, making Michael one of the most prominent DJs of the current electro scene. Richard Orlinski is the best-selling contemporary French artist in the world. His sculptures, articulated around the concept “Born wild”, are the fruit of a deep reflection on the animal instinct and human nature. Curious about nature and eager to express his sensitivity through other artistic disciplines, he discovered a passion for music. In 2016, he released his first single “Heartbeat”, recorded with the famous Dutch singer Eva Simons, who will remain number one of sales in France for three consecutive weeks. He is currently working on other titles in collaboration with other major names in international music. On the occasion of the 25th anniversary of Disneyland® Paris, Richard Orlinski created an exclusive Mickey Mouse sculpture, currently available in limited edition! Electroland is a musical event specially designed for the generation born with the Disneyland® Park 25 years ago, to which it will give the opportunity to see the park like never before. Disneyland Paris showed off the new ride trains for Space Mountain in a press release issued today. The new trains are very reminiscent of the artwork originally used in the first incarnation of Space Mountain when it launched in 1995 as Space Mountain: De la Terre à la Lune / From the Earth to the Moon. This gives us some hope that the Star Wars Hyperspace Mountain theme will just be temporary overlay and that some day roller-coaster fans will see a return of the classic Jules Verne theme to the ride. D-10 before the first blast-off ! Star Wars Hyperspace Mountain will provide Disneyland Park guests with a brand new mission in the Star Wars™ galaxy, where they can join the famous Rebel Alliance and experience the thrills of an epic battle, totally immersed in the universe of the Star Wars™ films. The wait continues for an official announcement from the AMF. Nothing officially received from Euro Disney or the L’Autorité des Marchés Financiers (AMF) so far today regarding the proposed Cash Tender Offer by The Walt Disney Company for Disneyland Paris but in an article published in Le Figaro this morning they seemed to believe that the Offer submited by TWDC for Euro Disney S.C.A. has been approved by the AMF. Meanwhile The Cash Tender Offer which was scheduled to start today has been postponed and the Shareholders Club have been informing enquiring shareholders that they will be contacted by e-mail soon to advise if and when the Offer will open. If the Cash Tender Offer is approved by the AMF Disneyland Paris shareholders will have the option to sell their shares at a cash price of €2.00 a share to TWDC. If the Tender Offer is successful and TWDC owns at least 95% of Euro Disney at the end of the Offer they will then proceed to apply for a mandatory buy-out and delisting of Euro Disney from Euronext Paris stock exchange. An English translation via Google Translate of the article published in Le Figro can be found here. It appears that Le Figaro possibly jumped the starting gun as the original article published yesterday has now been removed from their website. There has still been no official communication from the AMF or Euro Disney regarding the authorisation of the Cash Tender Offer. No announcement today from the AMF regarding the Tender Offer by TWDC for Euro Disney S.C.A. No announcement has been made today (25 April 2017) from L’Autorité des marchés financiers (AMF) regarding the proposed Tender Offer by The Walt Disney Company for Euro Disney S.C.A. It was expected that the AMF were to publish their clearance decision today regarding the Tender Offer TWDC has proposed for the takeover of Euro Disney S.C.A. The Offer if approved by the AMF would see Disneyland Paris shareholders offered a cash price of €2 a share by TWDC and a recapitalisation of €1.5 billion to allow Euro Disney to continue its investments in Disneyland Paris, to repay most its debt and increase the Groups liquidity. If the Tender Offer is successfully approved by the AMF, the intention of The Walt Disney Company is to then proceed with a mandatory buy-out and delisting of Euro Disney shares from Euronext Paris, if at the end of the Tender Offer, TWDC owns at least 95% of Euro Disney’s shares. Euro Disney S.C.A. published their six month end results today. In the first six months until 31 March 2017 Disneyland Paris made a net loss of €166 million. Resort revenues increased 2% to €613 million and operational costs decreased 1% to €756 million. Due to the lateness of the Easter vacation period in 2017, the Easter holiday figures are not included in this semesters figures. Theme park attendance increased upon 5% on last year, but revenues have only increased 1% to €345 million due to 3% decrease in average spending per guest. The decrease in average spending per guest was explained by lower spending on admission tickets and merchandise. The increase in attendance was due to more guests visiting from the United Kingdom and France, with fewer guests visiting from Belgium. Disney Hotels and Disney Village revenues increased 4% to €249 million mainly due to a 3% increase in hotel occupancy due to visitors from the United Kingdom, and was partially offset by fewer guests staying at the hotels from France and from corporate business groups. Real estate development revenues increased by €6 million to €10 million due to higher land sales. Marketing and sales expenses remained relatively flat compared to the prior-year period. During the six months ended March 31, 2017, Euro Disney drew an additional €60 million under the €350 million Revolving Credit Facility. As of March 31, 2017, the Group has borrowed €190 million from the Revolving Credit Facility available from TWDC. €160 million remains undrawn. A summary of the results are below and the full report can be download in PDF format here. • In March 2017, the Supervisory Board issued its unanimous support for the cash tender offer announced by The Walt Disney Company (“TWDC”), which remains subject to Autorité des marchés financiers (“AMF”) approval. In its filing with the AMF, TWDC confirmed its support of a recapitalization of the Group of up to €1.5 billion. (Marne-la-Vallée, April 20, 2017) Euro Disney S.C.A. (the “Company”), parent company of Euro Disney Associés S.C.A., operator of Disneyland® Paris, today reported results of the consolidated group (the “Group”) for the six months ended March 31, 2017. “This semester, we recorded higher revenues with increased resort volumes; however the environment remains uncertain. Recently, The Walt Disney Company reaffirmed its commitment to Disneyland® Paris and to France announcing its intention to support a recapitalization of the Group of up to €1.5 billion. Along with the Board, we welcome this positive proposal that will enable us to continue our on-going investments and pursue our strategy to further strengthen and improve the resort. The Group’s business is subject to the effects of seasonality and the last six months of the fiscal year, which include the summer months, usually include higher revenues. Consequently, the operating results for the six months ended March 31, 2017 are not necessarily indicative of results to be expected for the last six months of the fiscal year. In addition, results for the six months ended March 31, 2017 have been unfavorably impacted by a shift in the Easter vacation period to the last six months of the fiscal year. Resort operating segment revenues increased 2% to €613 million compared to €600 million in the prior-year period. Theme parks revenues increased 1% to €345 million due to a 5% increase in attendance as the prior-year period was impacted by the November 2015 events in Paris, which included a four-day closure of the parks. This increase was partially offset by a 3% decrease in average spending per guest. The increase in attendance was mainly due to more guests visiting from the United Kingdom and France, partially offset by fewer guests visiting from Belgium. The decrease in average spending per guest was due to lower spending on admissions and merchandise. Hotels and Disney Village® revenues increased 4% to €249 million mainly due to a 3 percentage point increase in hotel occupancy. This increase resulted from more guests visiting from the United Kingdom, partially offset by fewer guests staying at the hotels from France and business groups. Real estate development operating segment revenues increased by €6 million to €10 million due to higher land sale activity. Given the nature of the Group’s real estate development activity, the number and size of transactions vary from one period to the next. Direct operating costs decreased 2% compared to the prior-year period due to lower depreciation in the currentyear period. The lower depreciation is the result of the lower carrying value of the Group’s long-lived assets due to the €565 million impairment charge recorded as of September 30, 2016. This decrease was partially offset by continued enhancements to the guest experience, which includes new shows and hotel refurbishments, as well as costs associated with higher resort and real estate activities. In addition, the Group incurred increased labor costs due to an amendment of its employee retirement plan and incremental security costs. Marketing and sales expenses remained relatively flat compared to the prior-year period. General and administrative expenses increased 7% mainly due to higher labor costs, including the amendment of the employee retirement plan. Net financial charges remained flat at €19 million compared to the prior-year period. For the six months ended March 31, 2017, the net loss of the Group decreased to €166 million from €184 million in the prior-year period. Cash generated by operating activities for the six months ended March 31, 2017 totaled €23 million compared to €55 million used in the prior-year period. This variance resulted from a waiver of royalties and management fees payment in the current-year period, compared with €47 million of royalties and management fees paid in the prior-year period, as well as lower working capital requirements. In November 2016, The Walt Disney Company (“TWDC”) agreed to waive two years of royalties and management fees, commencing with the payment for the fourth quarter of fiscal year 2016, to provide the Group liquidity above its remaining undrawn revolving credit facility granted by TWDC (the “Revolving Credit Facility”). Cash used in investing activities for the six months ended March 31, 2017 totaled €129 million compared to €89 million used in the prior-year period. This variance was due to investments to enhance the guest experience in preparation for Disneyland® Paris’ 25th Anniversary celebration as well as cash provided to the Les Villages Nature de Val d’Europe S.A.S joint venture. Cash generated by financing activities totaled €59 million for the six months ended March 31, 2017 compared to €3 million used in the prior-year period. During the six months ended March 31, 2017, the Group drew an additional €60 million under the €350 million Revolving Credit Facility. As of March 31, 2017, the Group still has a €160 million undrawn Revolving Credit Facility available from TWDC. In February 2017, TWDC through its subsidiary EDL Holding Company LLC, acquired 90% of Kingdom 5-KR-11, Ltd shares in the Company at a price of €2.00 per share, increasing its interest in the Company to 85.7%. The consideration was paid in shares of TWDC common stock. In connection with this transaction, TWDC announced its intention to launch a tender offer (through its subsidiaries EDL Holding Company LLC, Euro Disney Investments S.A.S. and EDL Corporation S.A.S.) for all of the Company’s shares not already owned by TWDC subsidiaries, other than treasury shares, at a price of €2.00 per share (the “Tender Offer”) to be paid in cash. In addition, TWDC announced its intention to proceed with a mandatory buy-out and delisting of the Company’s shares from Euronext Paris, if at the close of the Tender Offer, it owns at least 95% of the Company shares. Further TWDC committed to support a recapitalization of the Group of up to €1.5 billion subsequent to the completion of the Tender Offer. Proceeds from the recapitalization would be used to enable the Group to continue its investments in Disneyland® Paris, repay most or all its indebtedness and increase its liquidity. On March 30, 2017, TWDC and the Company filed, respectively, the draft Tender Offer document and the draft response document (including the independent expert report) with the French Autorité des marchés financiers (“AMF”). The documents remain subject to AMF review and approval. Once approved, the AMF will publish a clearance decision relating to the Tender Offer on its website and such decision will entail approval (visa) by the AMF of the Tender Offer document and the response document. For more information, please refer to the draft Tender Offer document and the draft response document which are available on the Company’s and the AMF’s websites, as well as the related press releases. On March 25, 2017, Disneyland Paris launched its 25th Anniversary celebration, which features enhanced attractions including Star Wars Hyperspace Mountain: Rebel Mission and Star Tours: The Adventures Continue. The festivities also include two new daytime shows and a new parade. In the evening, guests can enjoy a new nighttime spectacular, including state-of-the-art technology, sound, lights, projections, fountains and new pyrotechnic effects.